This product will be for sale until it is sold out. Get yours before we run out of stock. You must agree to our terms Terms and Conditions to purchase this item. At this time, we do not ship International. The Gerber Winchester Call-Out Tanto features a partially serrated, stainless steel blade. 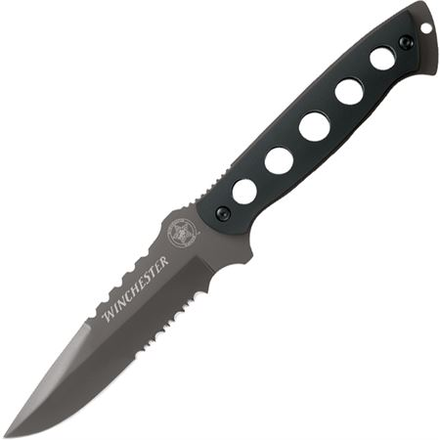 This model has a 1/3 serrated blade. These products are designed to survive the most demanding situations while still remaining simple and easy to use. 420 Series Stainless Steel for strong corrosion resistant blade.